VMware vSphere 6.7 is in GA since April 2018 (see this post) and the know issues are quite limited. Most of the other VMware and 3rd party products have reach the compatibility this this new release. For example, recently, also Veeam Backup & Replication support for vSphere 6.7 with the new 9.5 update 3a patch. So it could be the time to think about it, in new projects or also for existing environments. 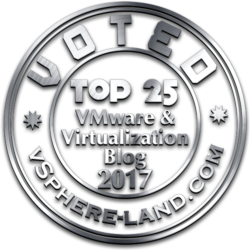 I’ve wrote a post on why upgrade to VMware vSphere 6.7 (or why not), but first to all remember that version 6.5 and 6.7 have the same support deadlines, so upgrade to vSphere 6.7 does not extend the lifetime of your vSphere 6.5 environment. But could be interesting for other reasons, for example for the improvements in the security aspects or in the scalability numbers. But how learn more about vSphere 6.7? VMware vSphere: Install, Configure, Manage [V6.7] course: five-day intensive hands-on course will teach you what you need to know to install, manage, and troubleshoot the new features of vSphere 6.7. VMware vSphere: Optimize and Scale [V6.7] course: five-day course teaches you advanced skills for configuring and maintaining a highly available and scalable virtual infrastructure. This course deepens your understanding of vSphere and how its advanced features and controls can benefit your organization. vSphere: What’s New [5.5 – 6.7] course: three-day course gets you familiar with all the new features and walks you through the process of installing, upgrading, and migrating. But for sure other will be addedd soon. 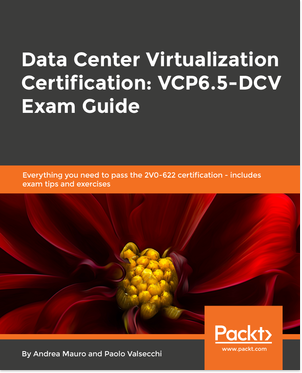 And probably a new VCP certification could appear at the end of the year. 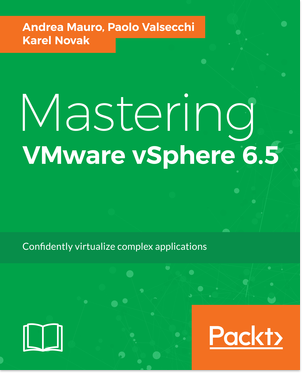 To learn about what’s new in vSphere 6.7 by watching this short video or by reading this Introducing VMware vSphere 6.7! blog post.